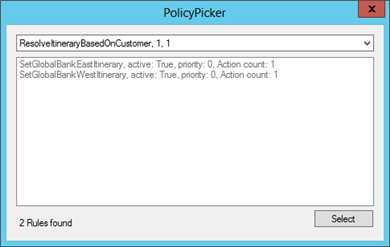 It is not very difficult to create business rules policies in the Business Rule Composer that can be used for one of these scenarios but is not so easy to test the created policies because it’s not documented how to do it. You have to find out which specific classes, properties and methods are used and in which DLL libraries they are located. 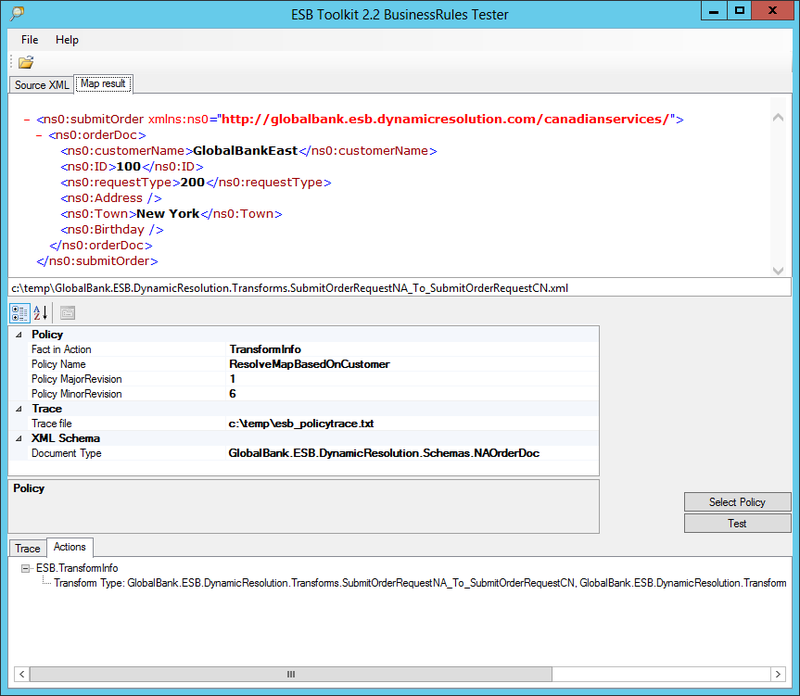 So I made a sample tool with which these ESB Toolkit classes can be tested! Figure 1. 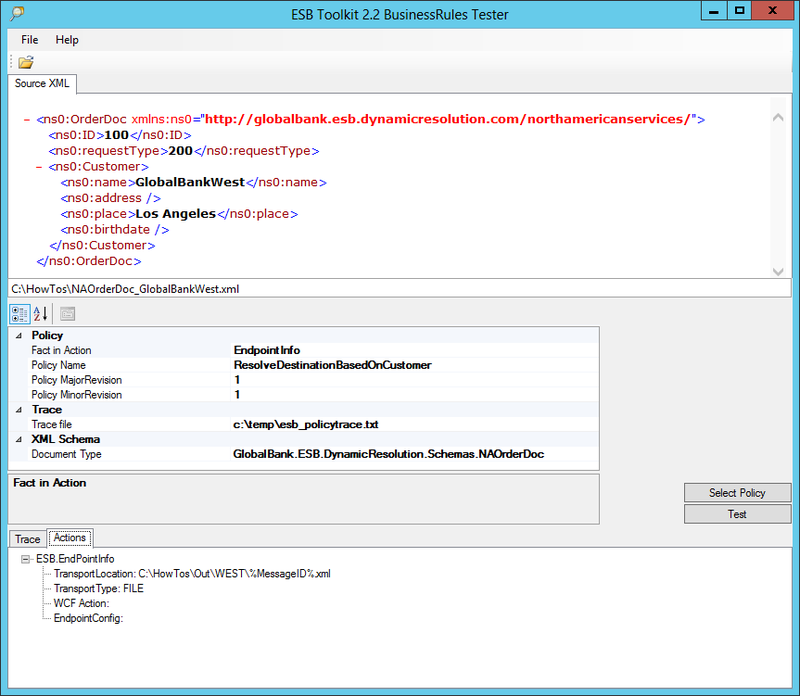 Microsoft Business Rule Composer. 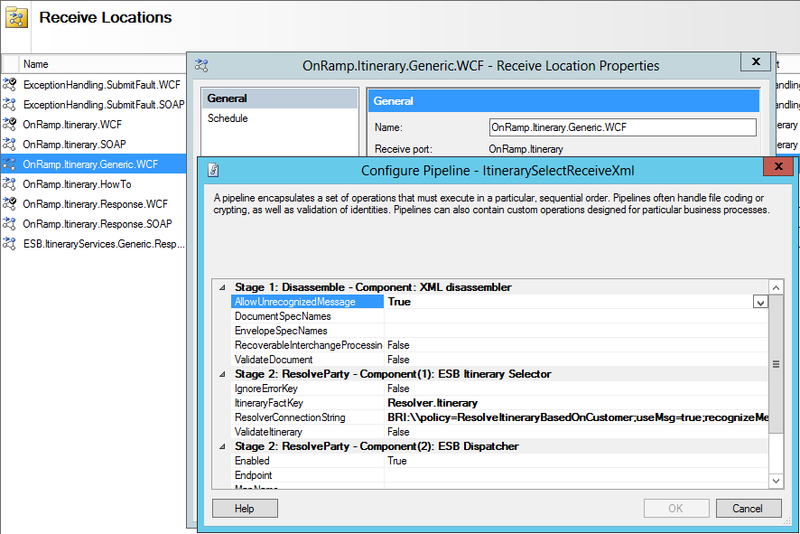 Configure the Itinerary Selector pipeline component in a Receive Location to use a business rules policy to select the appropriate itinerary. Figure 2. Specify pipeline properties. Figure 3. Specify the policy. Now you can test the policy. Figure 4. 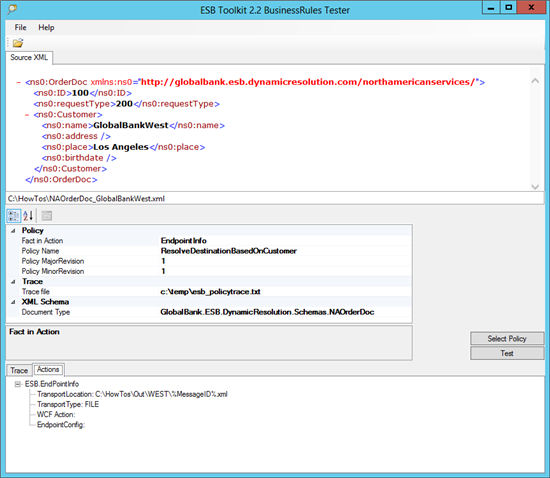 ESB Toolkit 2.2 Business Rule Tester. When this is the case it is shown in the Tool otherwise you get a warning message. Figure 5. Test output of ESB Toolkit 2.2 Business Rule Tester. Figure 6. Business Rule Composer select map. Figure 7. 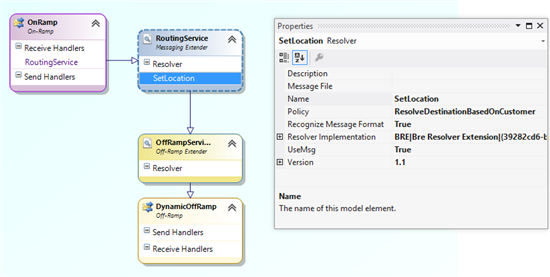 Configure the properties of the Resolver. 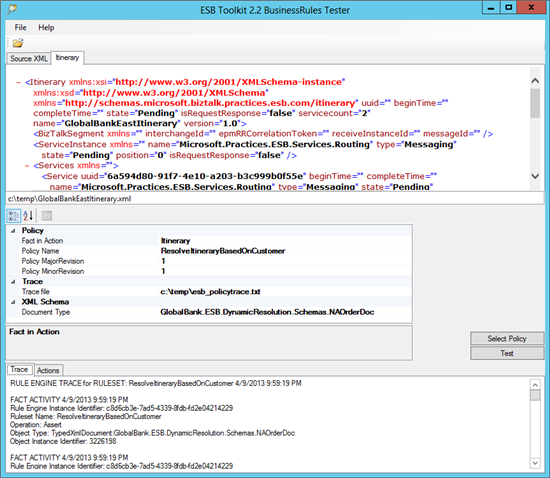 When this is the case it is executed and shown otherwise you get a warning message. Figure 8. Testing the policy. Figure 9. Create a policy in Business Rule Composer. Figure 10. 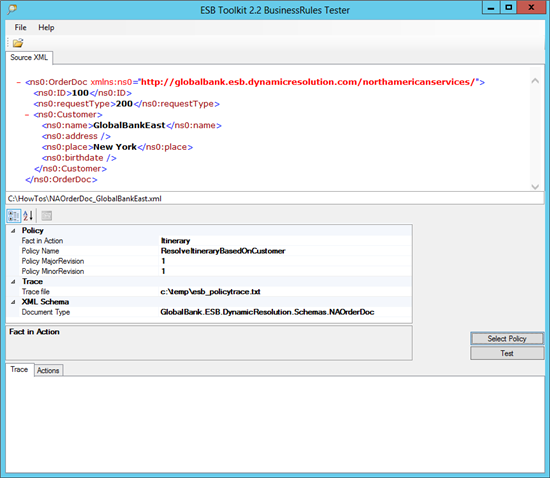 Configure the properties of the Resolver. Figure 11. Testing the policy.